Tiny quantities of wines that we just wish we had more of. Thomas farms just 2.5 hectares so our allocation is pretty tiny. Christophe Daviau's single-hectare plot of Grolleau has been hit severely by frost in the last two vintages so, again, a very limited amount was produced. After 10 years of working in larger commercial wineries Thomas started his own project in 2008. In 2011 Thomas inherited his compact winery and vines. He only started working for himself fulltime fairly recently. His wines are creative and full of expression while maintaining purity. All wines are made without any use of chemicals, are unfined and unfiltered and use minimal sulphur. Chenin from five different plots with old vines and schist soils. Long fermentation for over a year and a half. As a result, it's a little oxidative but you still see the pure fruit shines through . Subtly oxidative. The wine developed flor ;similar to a Chardonnay from Jura. Lots of citrus and grapefruit. Fermentation in fibreglass and no filtration. Beautiful with restraint! A light juicy whole-bunch red, a little tannin with dark fruits. Each variety is macerated separately and then combined. Juicy fruit! Particularly special as '11 was Thomas' first ever vintage. Chenin left in barrel for three years; full botrytised, rich and opulent. The Daviau family have been making wine at Domaine de Bablut since 1546, with vineyards located around the commune of Brissac. Christophe converted the vineyard to organic in 1996 and moved toward biodynamics. He is a soil fanatic and loves to isolate different terroirs, each wine he makes is from a different soil. 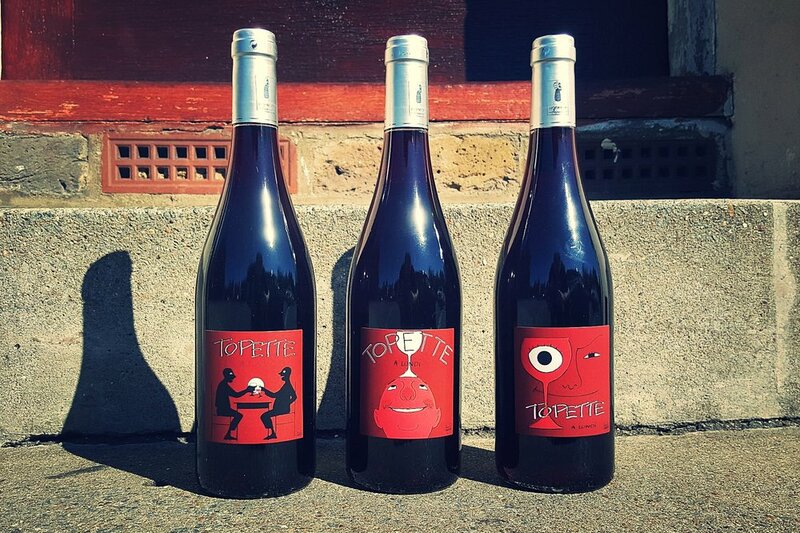 We are excited to see the return of Topette a Lundi which is a fun vin de soif and a contrast to their other much richer wines. Easy and fun; a wine that quenches the thirst and with a spicy finish. Planted on grande pierre (green schist) on a rocky slope on a meander of the river L'Aubance. Short maceration to preserve the fruit and keep it light. No filtration or sulphur.